Economic Analysis, Moral Philosophy, and Public Policy (2016) | Moral Markets? Part I explores the idea of rationality and its connections to ethics, arguing that when they defend their formal model of rationality, most economists implicitly espouse contestable moral principles. Part II addresses the nature and measurement of welfare, utilitarianism and cost-benefit analysis. Part III discusses freedom, rights, equality, and justice - moral notions that are relevant to evaluating policies, but which have played little if any role in conventional welfare economics. Finally, Part IV explores work in social choice theory and game theory that is relevant to moral decision making. Daniel Hausman is the Herbert A. Simon and Hilldale Professor of Philosophy at the University of Wisconsin, Madison. A founding editor of the journal Economics and Philosophy (with Michael McPherson), his research has centered on epistemological, metaphysical, and ethical issues at the boundaries between economics and philosophy. 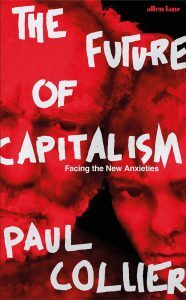 He is the author of Capital, Profits, and Prices (1981), The Inexact and Separate Science of Economics (1992), Causal Asymmetries (1998), Preference, Value, Choice, and Welfare (2012), and Valuing Health: Well-Being, Freedom, and Suffering (2015). Michael McPherson is President of the Spencer Foundation and Past President of MacAlester College, Minnesota. 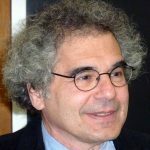 He co-founded the journal Economics and Philosophy with Daniel Hausman and has worked on problems on the borders of economics and philosophy. He is co-author of six books on higher education policy and economics, including Lesson Plan: An Agenda for Change in Higher Education (with William G. Bowen, 2016), Crossing the Finish Line: Completing College in America's Public Universities (2009), and The Student Aid Game: Meeting Need and Rewarding Talent in American Higher Education (1998). 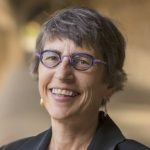 Debra Satz is the Marta Sutton Weeks Professor of Philosophy and Ethics in Society at Stanford University, California, where she is also the Senior Associate Dean for Humanities and Arts. Her research interests include the moral limits of the market, the nature of equality, and the public/private boundary. She is the author of Why Some Things Should Not Be for Sale: The Moral Limits of Markets (2010), and the co-editor of Toward a Humanist Justice: The Political Philosophy of Susan Moller Okin (with Rob Reich, 2009) and Occupy the Future (with David Grusky, Doug McAdam and Rob Reich, 2013) and is the author of numerous articles. (The start of) chapter and book part summaries have been taken from the book's pages on Cambridge Core, where you can see an overview of the table of contents without the summaries as well as the full summaries, and where users with access can also download the chapters. 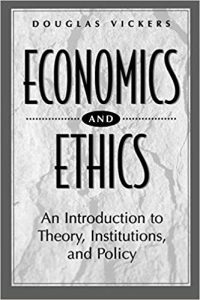 Ethics and Economics - Economic Analysis, Moral Philosophy, and Public Policy is concerned with economics and ethics, but it is not about how to behave ethically when doing business or undertaking economic research. We prescribe no code of conduct and preach no sermons. 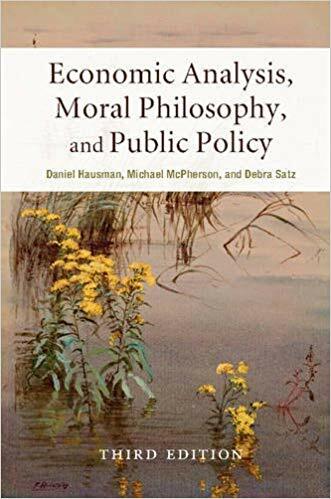 Rather, in this book we try to show how understanding moral philosophy can help economists to do economics better and how greater knowledge of economics and ethics can help policy analysts to improve their evaluations of alternative policies. We also hope to show how philosophers can make progress in ethics by drawing on insights and analytical tools from economics. While we are writing mainly for those who are interested in economics and aim at helping them to think more deeply about this field, we think that economics has some important concepts and methods to offer to those interested in ethics, too. Ethics in Welfare Economics -This book will be filled with arguments, but we shall begin with examples to bring them down to earth. One good example may do more to clarify how ethics matters to economics than would a hundred pages of argument. Furthermore, ethical reasoning is not just a matter of logic. Emotion has its part to play, too, and examples help to engage the emotions. In this chapter and the next, our concern is not to argue that ethics matters in economics but to exhibit through examples how important ethics is. In this chapter we will focus on two examples, which will enable us to identify the main moral assumptions that characterize mainstream normative economics. 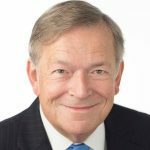 Ethics in Positive Economics: Two Examples - Although some economists have envisioned the possibility of a value-neutral normative economics that merely investigates the consequences of policies for the satisfaction of preferences, most would be willing to concede that moral judgments do play a role in normative economics. For that reason, they might also concede that when evaluating policies economists should pay attention to matters of ethics. But when it comes to positive economics – the attempt to predict and explain economic outcomes and processes – few economists see any role for ethics. Although it is possible (even in economics) to investigate features of the world without evaluating them, it is often hard to do so. When matters of economics bear strongly and immediately on people's interests, those interests and the moral considerations that are relevant to them are likely to influence the questions economists ask and the answers they defend. Because of this, it is important to understand the values that are at stake.Familiarity with moral philosophy can help here. Although values will be most obvious in debates over practical policy questions – consider debates over energy policy, prescription drug benefits, agricultural policy, or tax policy – moral considerations can have a much broader influence. We shall show this influence in two examples. When we say that it is morally right to relieve famine victims, we are expressing our approval of famine relief and at least suggesting that, all things being equal, people ought to go to the aid of those in danger of starvation. Morality is normative as opposed to merely descriptive. So is rationality – although, unlike morality, only conditionally so: actions are rational or irrational, given the agent's beliefs and desires. When we say that it is rational for individuals to have medical insurance, we are expressing approval of having it. Similarly, to characterize a choice as irrational is usually to condemn it, and not simply to describe it. Not only are morality and rationality alike in these ways, but “rational” is often used (as in the previous example) as a synonym for “prudent,” and prudence is a morally admirable character trait or moral virtue. At the same time, morality and rationality are not the same. How are morality and rationality related? Is it always rational to be moral? These general philosophical questions are critical to understanding the relations between ethics and economics, because economics is built around a theory of rationality. Rationality and Utility Theory - Mainstream economics portrays agents as choosing rationally. Many generalizations in economics concerning how people do in fact choose are also claims about how they ought rationally to choose. If people are, to some reasonable degree of approximation, rational, then a theory of rational preference, belief, and choice will constitute an approximate theory of people's actual preferences, beliefs, and choices. The fact that economics is built around a theory of rationality distinguishes economics from the physical sciences, where quarks and polymers do not choose at all and whose theories have no comparable normative dimension. Rationality and Morality in Positive Economics - Positive economics is concerned with the explanation and prediction of economic phenomena, while normative economics is concerned with their evaluation. It is hardly surprising that moral considerations are important in normative economics. But as the examples of involuntary unemployment and overlapping-generations models illustrate, moral considerations are important within positive economics, too. Rationality is itself a normative notion concerning how people ought to choose, prefer, believe, or reason and, as this chapter explains, it plays a very large role in positive economics. As we shall see later, rationality is also crucial to normative economics, and its use in both domains forges a deep connection between positive and normative economics. The Ethical Limits to Markets - In this chapter, we turn from questions about how morality affects individual behavior to questions about how morality limits and ought to limit the use of and scope of markets. Markets are, of course, the central institution that economists study. Despite this, there is little attention paid to explaining exactly what a market is: most introductory economics textbooks do not even bother to define it. Markets may seem simple – a set of easy equations that can be depicted by supply and demand curves – and natural – a spontaneous form of ordering relationships between people. But in reality, Adam Smith's “simple system of natural liberty” is a complex social institution. Any market presupposes property rights, so that trade and theft can be distinguished. All markets are governed by rules. These rules specify what the basic elements of a market are: Who counts as a trader? What counts as a commodity? What counts as a contract? These rules also specify how these elements may interact: How frequently may any one individual make trades? What kinds of actions may traders take against one another? Economic outcomes may be better or worse along several dimensions. They may make people better off or worse off, enhance or restrict freedoms, protect or threaten rights, and they may be just or unjust. All of these dimensions are important in evaluating outcomes. [...] Part II focuses largely on welfarism – the evaluation of outcomes, institutions, actions, and policies in terms of their effect on individual welfare (which we also refer to as well-being). Though well-being is obviously important, other moral considerations, such as freedom, rights, equality, and justice, are also important. Some people risk their lives pursuing these values. Even if economists had no interest in any values except welfare, they would still need to understand these other values in order to comprehend the goals of policy makers and to help devise policies to achieve them. In fact, we suspect that economists care as deeply about freedom and justice as do other people, even if these values are absent from their models. Adam Smith objected to most government interference in the market as diminishing welfare, but at the same time he maintained that to prevent people “from employing their stock and industry in the way that they judge most advantageous to themselves, is a manifest violation of the most sacred rights of mankind” (1776, book IV, chapter 7, part 2). Values such as freedom, rights, and justice may be difficult to understand, but welfare is not a simple notion either. In assessing economic outcomes, processes, institutions, and policies, normative economics should encompass a much wider range of moral concerns than welfare. In Part III we shall be discussing important moral notions other than welfare, under the separate headings of liberty and rights (Chapter 10), equality (Chapter 11), and justice (Chapter 12). Morality and mathematics may seem as unrelated as martyrdom and MTV. But it is possible to characterize moral notions formally and to prove theorems. Doing so does not banish controversy or replace moral argument, because abstract mathematical characterizations of moral notions require interpretation and defense. Just as there are disagreements concerning the formal definitions of rationality, so are there controversies about formal definitions of moral concepts and principles. Over the last seventy-five years economists, decision theorists, and game theorists have made exciting progress in characterizing features of human interactions and principles to govern them. This work is linked to moral philosophy. Formal models of rationality and game-theoretic studies of incentives hold out the hope of transcending ancient conundrums concerning the relations among morality, rationality, and self-interest. Concepts of envy-free allocations can facilitate the articulation of egalitarianism. Solution concepts in game theory may enrich the contractarian view that morality can be justified in terms of agreement. Theorems in social choice theory explore the implications of plausible moral axioms and test the consistency of traditional principles concerning how social policies should respond to individual interests. We opened this volume with four examples that show the influence of ethical assumptions and commitments on work in economics. 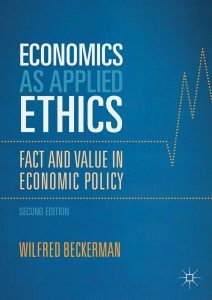 If this book has served its purpose as an analysis of the ethical presuppositions of economics and as an introduction to a range of ethical concepts and theories relevant to economic research, it should make the ethics implicit in these cases easier to understand. It should also suggest how economic analyses can benefit from subjecting their ethical presuppositions to reflective consideration. We have also – especially in the last two Chapters 13 and 14 – described some of the tools that economists have developed that may be of use to moral philosophers. In this last part of our book, Part V, we wish to consider ways that the insights of economists and philosophers can complement one another. Accordingly, in Chapter 15 we revisit the four cases discussed in Chapters 2 and 3. In Chapter 16, we present ways in which grasping both ethics and economics can help in identifying good policies and principles. Appendix: How Could Ethics Matter to Economics? We hope in this book to have shown how knowing moral philosophy can help one to do economics better and how economics can contribute to ethics. The most persuasive way to make this case is the one we pursued in the main text: by describing important aspects of moral philosophy and showing their bearing on economics. Many economists are nevertheless inclined to deny that moral philosophy has anything to contribute to economics. Why? In this Appendix, we explore some of the arguments and reaffirm the central thesis of this book – that ethics is relevant to economic inquiry.